Rita De la Cruz has been the supervising waiter-girl at the Stewart House for long enough. She’s witnessed all of her friends going off to start new lives with their new beaus, and now, she is ready to follow in their footsteps. She carefully crafts an advertisement for a mail-order husband and is delighted to receive many letters in response. Soon, her days are filled not only with working at the restaurant – which is growing busier by the shift, it seems – but also with writing letters to the sweet men who, like her, are looking for love. 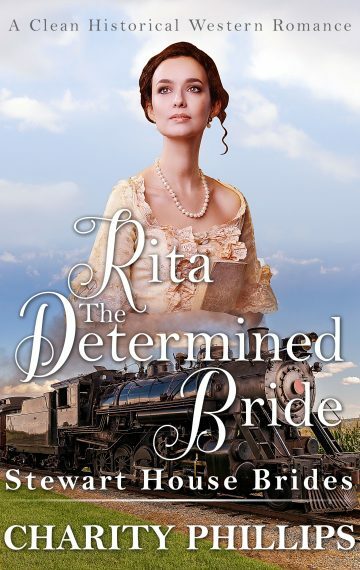 Her friends are all excited for her, but when the owner of the restaurant, Mr. Stewart, discovers that she is meeting with potential suitors, he is infuriated for reasons Rita never expected. Will she be able to leave the restaurant that’s become her home and the man who has become her dearest friend?